Welcome back to week 3 of the One Room Challenge. Thank you all so much for your input about my painted mantel predicament. I’m about 90% sure I will keep it white just like most of you thought. I have noticed though it may be too white. It is more white than the crown molding so I may change the shade of white. So, one problem solved, I think. If this is your first time here I’d love for you to see the before photos and the mantel color options. This is my third time joining Linda of Calling it Home for this fun event. I’d love to have you check out my previous two ORC makeovers. The rest of this past week was spent doing so many different things on many different projects. I am so pleased with how things are coming along. It is my goal to complete this room makeover as budget friendly as possible. I want to show you what is possible when you don’t have a lot of money to spend for a full room interior design. I spent time shopping and choosing fabric. The window panels are finished but I still need to recover the ottoman and sew pillows. I completed my least favorite chore of stripping paint. 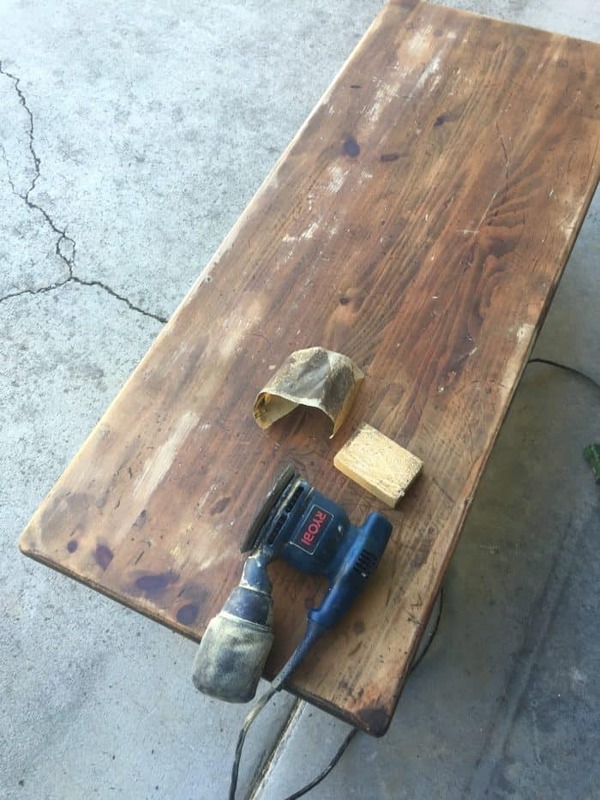 Instead of buying new tables I completed makeovers on my end table and my grain sack inspired bench. I have a tutorial about stripping paint HERE. I couldn’t have planned all of the imperfections in the wood any better. 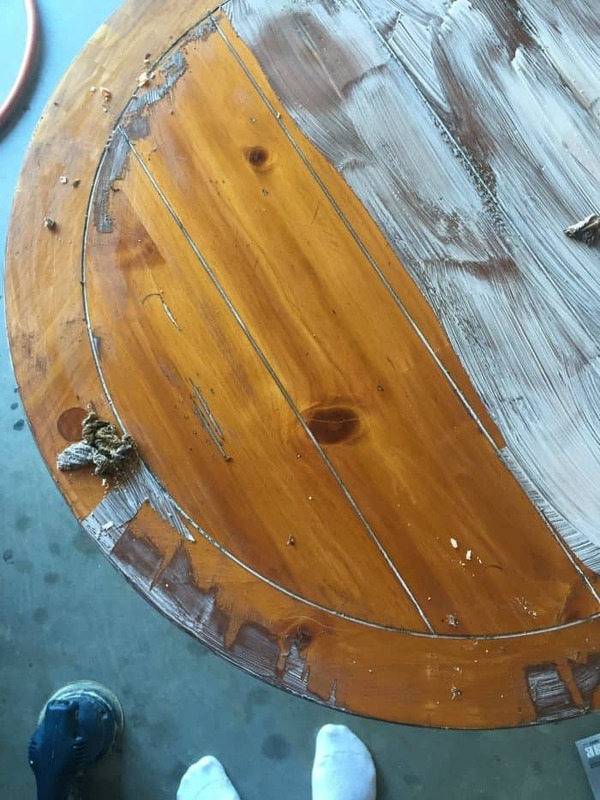 It’s the exact rustic look I was hoping would be under all those layers of paint. I did buy a new floor lamp from Target and a new chair from Overstock. The chair arrived and it looks so great. I need to put the lamp together but I’m pretty excited about it. Now I think I have some things to sell that I am moving out of this room. Great way to recover any money I have spent. oh that stripped wood is so awesome!!! Sometimes projects work out better than we could hope. You’re a girl after my own heart…. 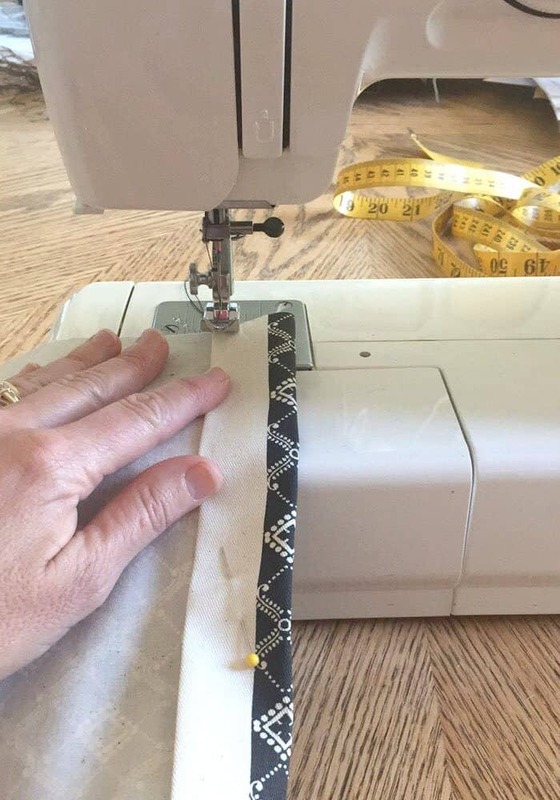 I love to DIY my home renovating and decorating projects with sewing, upholstery and woodwork! Can’t wait to see how it all comes together! Keep up the good work Sonya! It keeps things interesting around here for sure! Following your office progress as well…love the wall paint color! I’ve always been drawn to darker things, hence all the black I’m choosing. 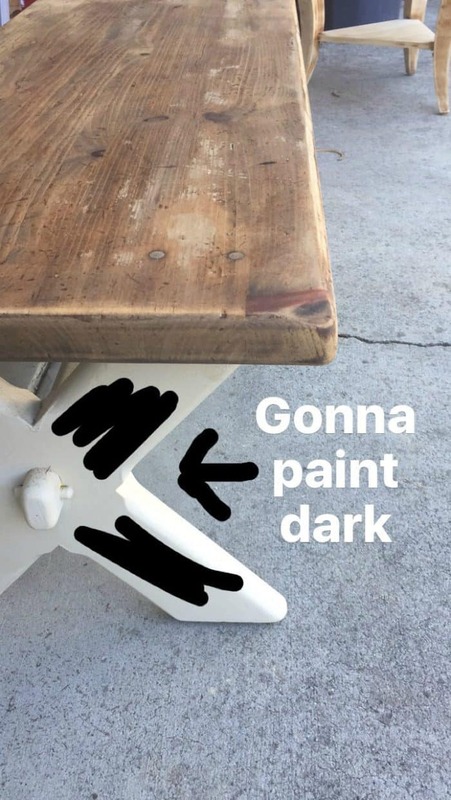 I’m an AVID DIYer with you and love to see you creating such awesome progress! Can’t wait to see your big reveal!! Thank you!! It’s fun to see the creations come to life. I so wish I was this crafty! I am so impressed by you! I’ve had the hardest time finding the right curtains for my apartment and for some reason I never thought to just pick a fabric I like and make my own. Thanks for the inspiration! YES and it’s really affordable when you find fabric at a great price. I plan to write a how to post very soon. I love that you’re doing this redo on a budget. That’s the only way anything gets done around here! Excited to see how all the pieces come together! Same here! Glad you are following along.